Moon-linked curses. Shape-stealing aliens. Strange gifts and genetic quirks passed down through your bloodline. Ancestral curses. Cute little critters that gladly turn into the latest technotoy and back again. Chameleonic spies. Body-morphing symbionts. Doppelgängers. They're all shapeshifters . . . 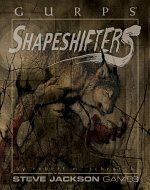 In GURPS Shapeshifters, GMs and players will find all they need to build creatures that change their bodies as easily as most people change their clothes. Character-creation rules, campaign guidelines, and sample shifters of every shape and size – they're all here. Drop a Cinematic Werewolf into your game, or craft a mysterious alien species that is far more than it seems. 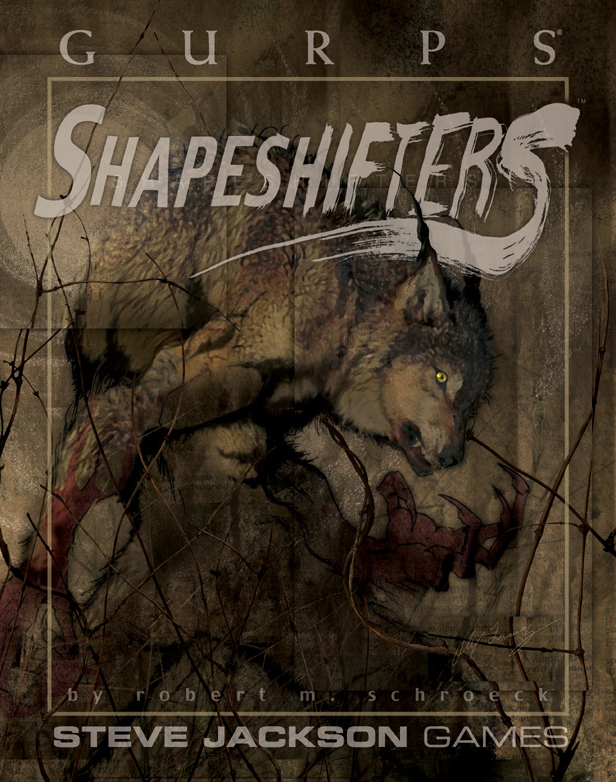 Also included are suggestions on incorporating shapeshifting creatures into a new or existing campaign and examples of fully fleshed-out shifters – races and individuals, cursed and gifted. Your campaign will never look the same again! GURPS Dragons – Throughout history, around the world, tales of fire-breathing monsters have stirred awe and terror. Now . . . play a dragon. GURPS Werewolf: The Apocalypse – The time of the Apocalypse draws near. Humankind walks in ignorance of Gaia's peril. There is only one hope . . . The Werewolves. 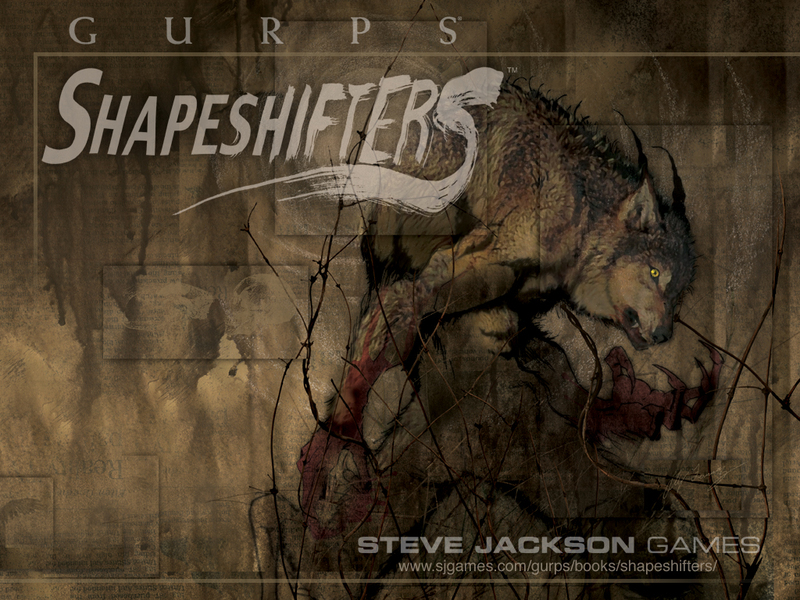 We have had repeated requests for a wallpaper made from the GURPS Shapeshifters cover, so here it is, built by cover designer Alex Fernandez! You can find more desktop backgrounds on our Wallpapers, Promo Art, and Banners page. The cover image is also available as a poster at Warehouse 23.